Douglas Laing and Co. has released a second Rock Oyster Cask Strength Limited Edition, a maritime blended malt matured in American oak casks, to coincide with National Oyster Day on 5 August. The whisky is a no-age-statement blend of malts ‘including those distilled on the islands of Islay, Arran, Jura and Orkney’ and is said to deliver ‘flambéed orange peel, puffs of peat smoke and a salty tang’ on the palate. The whisky, bottled at 56.1% abv, is the second in a two-part series of cask strength editions of Rock Oyster, following the previous edition released in 2016. 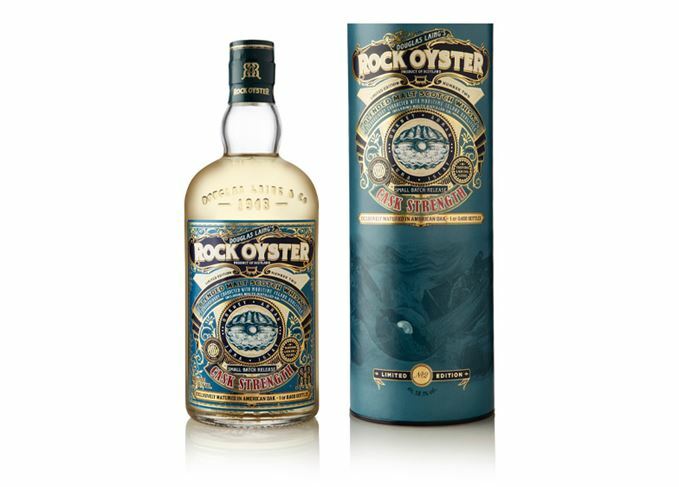 ‘It’s been two years since the launch of Rock Oyster Cask Strength and we’re delighted to now respond to customer demand with this new limited release,’ said Chris Leggat, CEO of Douglas Laing and Co.
Rock Oyster Cask Strength is priced at £49.99 and will be available globally, excluding the US, from specialist whisky retailers. Only 8,400 bottles of the limited edition release will be available for purchase.